The gem of Greenbrook Preserve, this stunning Lee Wetherington custom home is nestled on a secluded 188; acre lot overlooking a nature preserve and lagoon while offering Southern exposure and peaceful tranquility. At over 3800 sq.ft, this magnificent residence showcases 4 spacious bedrooms, 4 full baths, 3-car garage, multi-purpose office/den, & spectacular bonus room w/second floor balcony and breathtaking views. An elegant entryway welcomes you to a masterpiece of architectural design appointed with tray ceilings, ornate columns, arches, & crown molding throughout. Situated in the epicenter of the home, the gourmet kitchen is a chef 8217;s dream with large walk-in pantry, double built-in ovens, gas cooktop and gleaming granite countertops. Hosting a party is a breeze with the island 8217;s bar seating and two-sided buffet perfect for entertaining. Take the party outside and enjoy indoor/outdoor living with signature Lee Wetherington disappearing corner sliders leading out to the gorgeous lanai while enjoying exceptional weather all year long. Splash in the heated saltwater pool and spa, and serve grilled delights from the well designed outdoor kitchen. Retire to a luxurious master suite overlooking the pool and well appointed en-suite with garden tub, walk-in shower & dual vanities. Meticulously maintained, this home has 2 new A/Cs (2018), fresh paint (3/19), and hardwood floors in the office, bonus room, & master. Greenbrook Village boasts A-rated schools, parks, trails, and paw park for your furry family members. 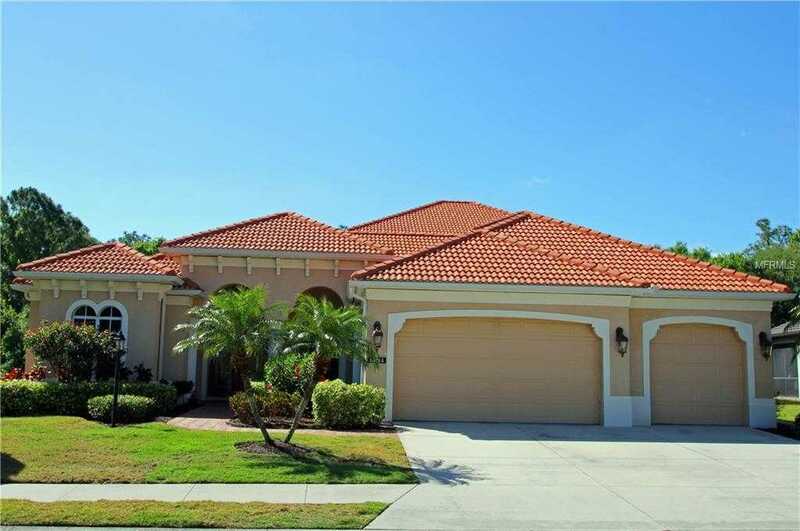 Please, send me more information on this property: MLS# A4432665 – $689,000 – 14814 Sundial Pl, Lakewood Ranch, FL 34202. I would like to schedule a showing appointment for this property: MLS# A4432665 – $689,000 – 14814 Sundial Pl, Lakewood Ranch, FL 34202.